Wilhelmina Brewster has been a college music professor for 41 years, devoting her life to her career and never marrying. Widower Mike Dolan is a pilot and World War II veteran who has always lived life to the fullest. When medical tests confirm that his cancer has returned, he makes plans to take a final flight in his airplane rather than become a burden to his family. Wilhelmina accidentally learns of Mike’s final plans, and when she discovers that he isn’t a believer, she knows it’s her Christian duty to talk with him about her faith. But she feels totally inadequate for the task. 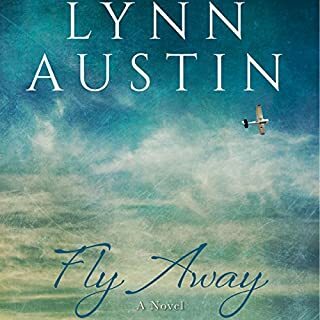 Five-time Christy Award winner Lynn Austin is acclaimed as “one of the genre’s best historical fiction novelists” ( Library Journal). Set in Brooklyn, New York, during World War II, While We’re Far Apart is a brilliant blend of captivating characters, heart-tugging emotions, and vivid spiritual truths. 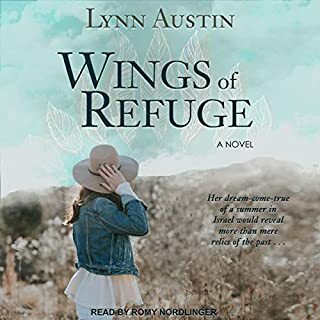 While a motherless girl longs for her daddy and a young lady hopes for a second chance at love, this poignant tale explores the uncertainty that stalks the homefront as the “War to End All Wars” rages in Europe. While 20-year-old Harriet is behind bars, she reviews the history of her great-grandmother’s fight against slavery, her grandmother’s crusade against “demon rum,” and her mother’s struggle for women’s suffrage. Now she longs for the courage to leave her own legacy. 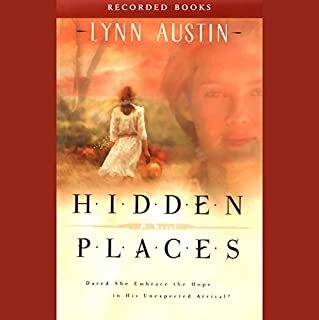 A three-time Christy Award winner, Lynn Austin crafts rousing tales of hope and redemption. All She Ever Wanted stars Kathleen Seymour, a woman who seems to have it all, though she hides a dark family secret. To her horror, everything comes crashing down when she loses her job and her daughter is caught shoplifting. Desperate to regain control over her life, Kathleen returns to her estranged family to mend her severely broken relationships before it is too late. In the city of Chicago in 1892, the rules for Victorian women are strict, their roles limited. But sisters Rebecca and Flora Hawes are not typical Victorian ladies. Their love of adventure and their desire to use their God-given talents has brought them to the Sinai Desert - and into a sandstorm. 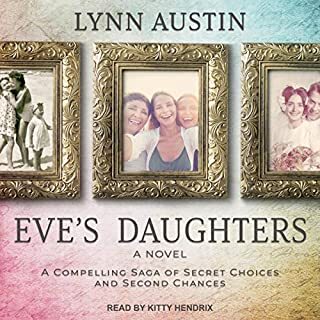 I really enjoyed the story by Lynn Austin. It was almost like listening to a memoir. I liked the characters. Sisters raised in an unconventional manner by their wealthy father. They grew up to be very independent women, one with a heart for history and travel, the other with a heart for the poor and orphaned. The story takes place from around 1860 to the end of 1890. Told from four viewpoints, going back and forth in time. I loved the adventure, though not typical for women of this time period, I found it very believable. Mystery, danger, and suspense had me listening on the edge of my seat in many places. I loved the Christian elements throughout the story. The sisters trusted God with everything. They spoke the message of salvation but left the choice up to the person they were speaking to. I did not care for the narrator. It seemed she was reading in slow motion and struggling to get her breath. I needed to speed it up quite a bit for it to sound more like a normal reading. I enjoyed the great story, the narration, and everything about this book. The story was a great look of how Christ loves us and the salvation message of forgiveness... The narrator was amazing with the different voices. This book was just an overall joy to listen to. Riveting and inspiring. Audio narration is superb! I highly recommend this. Lynn Austin is my favorite author. 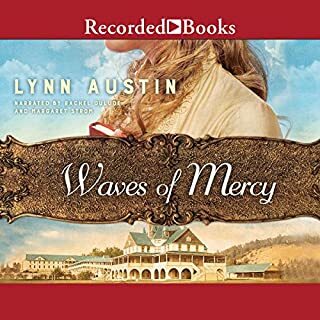 I have now listened to all Lynn Austin's Audible books on a binge, except the Chronicles and Restoration series, and loved them all except these last two she's written. This one started out okay but ended up as bad as Waves of Mercy. What's going on, Lynn? Save these two for last. They are preachy and not necessarily everyone's cup of tea. The criticisms of science and evolution in this book were also ridiculous. Btw, I loved the narrator of this book and think other reviewers were far too critical of her. I didn't see any problem at all! Lynn Austin is one of my favorite authors. I was excited to read a new book from her. But this book is nothing like her other books. I'd even question if the same person actually wrote it! And the readers voice was annoying. Sorry Lynn but this book is not up to your usual standard. Grew to love the characters. They were full in their humanness and relate-ability with quirks and character defects. Yet their faith was encouraging and made it seem plausible. The history and time period was captivating. My favorite part was the weaving of the Gospel message throughout. Thank you, Lynn Austin for this book and sharing your God given talents. I don’t know how a fictional book with fictional characters can encourage me to be a better person, but that’s exactly what this book did. 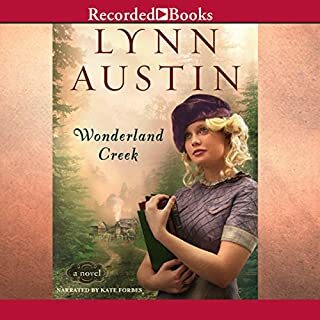 I’ve always loved Lynn Austin’s books, but I think this one has to be the very best one, yet! So awesome! "The Father knows when our end will be." This was a wonderful, exciting, joyous, and painful story of Godly love and devotion, and the struggles and challenges of this world that daily test our faith. I have given up precious sleep to finish this book that evoked my empathy and laughter - it was that good. It made me miss my sister all over again! So looking forward to my next book by this author! The narrator didn't handle the male voices so well, I found myself at times memorising whose name was called so that I could remember which male was speaking well. It was however bearable, especially because of the wonderful storyline. What a wonderful story of hope, love, redemption and restoration in a most unlikely place.